1.1 Your use of https://limendo.com (the “Website”) or any alias pages (e.g. https://limendo.eu) and any services, products, and software, e.g. (menu.limendo.com) is subject to the terms of a legal agreement between you and Limendo Consulting vereinfachte GmbH mit einzigem Gesellschafter (hereinafter referred to as LIMENDO) represented by Limendo Consulting vereinfachte GmbH mit einzigem Gesellschafter, with its registered office at A.-Volta-Straße 13A, 39100 Bolzano, Italy, VAT no. 02995110216. 1.2 All contracts of LIMENDO under the trademark LIMENDO are based on these “General Terms and Conditions” as an integral part. 1.4 The Terms constitute a legally binding agreement between you and LIMENDO with respect to the use of the Services. It is important that you take the time to review them carefully. 1.5 The provisions shall apply to all users of the Website as well as to clients and suppliers of LIMENDO. 2.1 In order to use the Services, you must first agree to the Terms. You may not use the Services unless you accept the Terms. 2.2 You may accept the Terms simply by using the Services. You acknowledge and agree that LIMENDO will treat your use of the Services as acceptance of the Terms from that date. 2.3 You may not use the Services or accept the Terms unless (a) you have reached the legal age to enter into a binding agreement with LIMENDO, or (b) you are barred from receiving or using the Services or otherwise prohibited by the laws of the country in which you reside or from which you access or use the Services. 2.4 You should print or save locally the terms and conditions for your records. 3.1 The content of the Website is provided by LIMENDO in various languages for your convenience. The terms and conditions have been translated for your convenience. Legally binding in only the German version of the terms and conditions (https://limendo.com/agb/) Your relationship with LIMENDO should always be based on the German language version. 4.1 LIMENDO may amend these Terms from time to time. If such changes are made, LIMENDO will make a new copy of the Terms available on limendo.com. 4.2 You acknowledge and agree that LIMENDO will treat your use as acceptance of the amended Terms if you continue to use the Services after the date on which the Terms have changed. 4.3 You should periodically review the terms for changes. 5.1 The Client shall in future be referred to as the Client in this document. 5.2 LIMENDO provides its services as “SAAS Service Provider” – Limendo offers with its Limendo Menu a transaction and information platform which can be used by the Client. By means of this platform, the customer can in turn offer his services to his end customers. Otherwise, LIMENDO acts as intermediary and coordinator between the client and one or more third parties, the end customers. 5.3 For all services, deliveries of goods, services or production of works for which LIMENDO acts as “SAAS Service Provider”, the scope, feasibility and price of the assignment by the Client with the third parties shall be determined independently. 5.4 LIMENDO does not provide any warranty for services, performances, deliveries of goods, production of works on the part of the Client. The warranty must be regulated separately between the client and third parties. 5.5 All contracting parties expressly agree that communication between them may also take place by e-mail. For this purpose, both parties to the contract will disclose the corresponding addresses. 5.6 The Terms and Conditions shall apply in all cases unless their validity has been expressly suspended in writing prior to placing the order and your suspension has been confirmed in writing by LIMENDO. In the event that individual provisions of the terms and conditions should become invalid, this shall not affect the validity of the remaining provisions. 6.1 Limendo Menu is offered to companies as a Software-as-a-Service. 6.2 Limendo Menu includes the use as a subscription for an annual fee. The subscription is tacitly renewed annually, unless terminated at one month’s notice prior to renewal. Invoicing takes place annually in advance. The invoice is due on demand and is debited either directly from the credit card or the associated bank account. Subscription costs are adjusted annually by means of the published inflation rate of the Province of Bolzano. 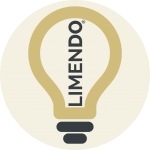 6.3 Limendo Menu is offered as a Software-as-a-Service product. By paying the respective fees, you do not in any way acquire ownership of Limendo Menu. You may use Limendo Menu as long as you pay the fees. 6.4 If you are more than 14 days in arrears with the payment of your fees or the payment of your invoice, Limendo will contact you by means of the email provided by you in the account data and inform you accordingly. From the 30th (thirtieth) day of the delay, your account will be frozen and you will not be able to use Limendo Menu. You can’t claim not to have been reminded. This is a voluntary service of Limendo. As soon as your fees/invoice are paid again, your account will be activated for use again. 6.5 Limendo assumes no liability with regard to the information in the central article database, in particular not for the correctness of the associated allergens to products and ingredients. As an entrepreneur, you are responsible for all content that you make available to the end customer. 6.6 Your created content within Limendo Menu remains your property. You agree, however, to grant LIMENDO a worldwide, non-exclusive, royalty-free license to all content created on Limendo Menu for the purpose of providing the services of the LIMENDO Website and LIMENDO’s businesses, including the marketing of the LIMENDO Services. The licenses granted for the use of the Client’s content are unlimited and irrevocable, but do not affect the Client’s other property rights. LIMENDO excludes any liability in connection with the use of the client’s content. 6.7 LIMENDO reserves the right (but shall not be obliged) to decide whether Content created by Users meets the content requirements set out in these Terms. LIMENDO may at any time, without notice and in its sole discretion, remove any Content that violates this provision or deactivates the account necessary to upload such Content. 6.8 For the provision of the payment functions of Limendo Menu we use the service of Stripe Inc. When creating an account with Limendo Menu you have to open your own account directly with Stripe Inc. in order to use the payment functions. 6.9 Limendo Menu is made available to you as a private individual/end user free of charge. 6.12 Please note that when using Limendo Menu, you do not enter into a contract with Limendo Menu, but with the respective entrepreneur (place/company – restaurant, hotel, etc.) in which you inform yourself, interact with the service, order or pay. Limendo does not assume any liability or warranty in this respect for services provided by the entrepreneur. Contact the entrepreneur directly. At the bottom of Limendo Menu, the so-called footer, you can view the data protection regulations, general terms and conditions as well as the imprint of the respective company. 6.13 Please also note that consuming food and drink is associated with risks – especially if you are allergic. 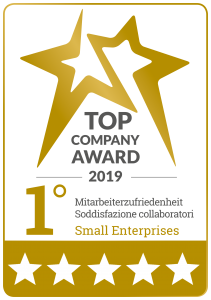 The entrepreneur is solely responsible for the situations described in Limendo Menu regarding allergens and ingredients or product information. Also it cannot be excluded that certain allergens are not indicated by a software error. Limendo accepts no liability in this respect. Please be sure to observe Paragraph 9, in particular Paragraph 9, 3 and 10 of these Terms and Conditions. 7.1 All offers made by LIMENDO are made to the best of LIMENDO’s knowledge and belief with regard to scope, feasibility and price. After careful examination and evaluation of the project, LIMENDO reserves the right to make a correction to the offer if the project deviates significantly from the original situation. 7.2 The scope of the service and consulting order concerning services shall be contractually agreed with the preparation of the service specifications. Both contracting parties declare that the mutual services correspond to their economic ideas. The rescission of this contract due to error is expressly excluded. 7.3 Offers by LIMENDO shall be valid for 60 calendar days from the date of issue. After this time, LIMENDO reserves the right to adapt the offer to any new circumstances that may arise. Amendments and supplements to the contract must be made in writing in order to be legally effective; there are no verbal subsidiary agreements. 7.4 LIMENDO shall be entitled to carry out the consulting assignment in cooperation with expert, employed employees or commercial/freelance cooperation partners. 7.5 The Client shall ensure that all documents necessary for the performance and execution of the consulting assignment are submitted to LIMENDO in a timely manner, even without LIMENDO being specifically requested to do so, and that LIMENDO is informed of all processes and circumstances that are relevant for the timely execution of the assignment. This also applies to all documents, processes and circumstances which become known only during the activity. 7.6 The Client shall be obliged to ensure that the offers, reports, analyses, expert opinions, organisational plans, programmes, performance descriptions, drafts, calculations, drawings, data carriers and the like prepared by LIMENDO, its employees and cooperation partners in the course of the consulting order are only used for the purposes of the order. In particular, the passing on or duplication of professional statements of any kind by LIMENDO to third parties against payment or free of charge requires its written consent. This does not constitute any liability on the part of LIMENDO towards third parties. 7.7 LIMENDO shall retain the copyright to the services rendered within the scope of the order. In view of the fact that the consulting services provided are the intellectual property of LIMENDO, the right to use the same, even after payment of the fee, shall apply exclusively for the Client’s own purposes and only to the extent specified in the contract. Any transfer that takes place nevertheless, even in the course of the dissolution of the company, but also the short-term transfer for reproduction purposes, will result in claims for damages. In such a case, full satisfaction must be afforded. 7.8 LIMENDO shall be entitled and obliged to remedy any inaccuracies and defects in its consulting services that subsequently become known. It is obliged to inform the client of this immediately. The warranty period shall be three months after the performance of the service complained of. 7.9 The Client shall be entitled to the removal of defects free of charge, insofar as these are the responsibility of LIMENDO. This claim shall expire three months after LIMENDO has rendered the service complained of. 7.11 LIMENDO shall be entitled to payment of the agreed fee by the Client as consideration for the provision of its consulting services in accordance with the List of Services. 7.12 LIMENDO shall be entitled to suspend its services for as long as the Client is in default with its payment obligations for more than 14 days. Except in the case of obvious defects, complaints about LIMENDO’s performance shall not entitle LIMENDO to withhold the remuneration to which it is entitled. 7.13 If the client wishes to receive services which are not included in the main order, these services shall be remunerated according to time spent at the hourly rates agreed below. The order is placed by the client in writing, the contractor provides the proof monthly. Additional services can be invoiced in monthly partial invoices. 7.14 Expenses shall be invoiced separately. For documentation, administration & communication a flat rate of 10 percent is charged. In addition, a kilometre allowance (arrival and departure) of 0.80 Euro per kilometre will be charged. The starting point of the calculation is the headquarters of Limendo, A.-Volta-Strasse 13A, 39100 Bolzano, Italy. 7.15 The contractor is entitled to issue partial invoices in accordance with the bill of quantities. Payments will be made within 30 days of submission. All payments shall be made without deduction of expenses, withholdings or other taxes. 7.16 The turnover tax for services of the contractor is not included in the fees and ancillary services calculated in accordance with this contract. 7.17 LIMENDO and its employees shall act in accordance with the generally recognised principles of professional conduct when providing advice. It shall only be liable for damages in the event that its intent or gross negligence can be proven, within the framework of the statutory provisions. This also applies to breaches of obligations by colleagues called in. 7.18 LIMENDO shall not be liable for consequential economic damage suffered by the Client. Within the scope of the contract, company and market data are analysed and a proposal of the measures to be taken by the client is worked out. The responsibility for the implementation of these measures and their consequences lies exclusively with the client. 7.19 LIMENDO shall not be responsible for examining legal relationships, in particular ownership, usage, corporate and tax relationships. 7.20 Investment decisions are at high risk. This risk includes, among other things, the dependence of earnings on influences from the general economic situation, the negative impact of political/war conflicts, acts of terrorism, etc. on demand and/or unforeseeable changes in the competitive environment, e.g. by competing companies or the discontinuation of demand generators. The actual occurrence of the forecast results can therefore not be guaranteed. 7.21 The selection of suppliers and service providers is subject to a high risk. This risk consists of the creditworthiness of the supplier, the capacity of the supplier, the loss of leading employees and competencies of a supplier, the general economic situation, the negative influences of political/war conflicts, acts of terrorism, etc. on demand and/or unforeseeable changes in the competitive environment. The actual occurrence of a positive course of the project or a positive cooperation cannot therefore be guaranteed. 7.22 The claim for damages can, with other exclusion, only be asserted in court within six months of the claimant(s) becoming aware of the damage. Claims for damages are, except in cases of intent, limited to the amount of the agreed consultancy fee. 7.23 LIMENDO, its employees and the colleagues called in shall undertake to maintain secrecy about all matters which become known to them in connection with their work for the Client. This duty of confidentiality applies both to the customer and to his business relations. The duty of confidentiality of LIMENDO, its employees and the colleagues consulted shall also apply for the period after the completion of the order. Only the client himself may release LIMENDO from its duty of confidentiality in writing. Exceptions are cases in which there is a legal obligation to provide information. 7.24 LIMENDO may only hand over reports, expert opinions and other written statements on the results of its activities to third parties with the consent of the Client. Court orders are excluded. The client will then be informed by LIMENDO. 7.25 All reports and documents are intended for the client. Their disclosure to third parties requires the prior written consent of LIMENDO. The documents may not be reproduced or used in extracts without the written consent of LIMENDO. After completion of the order, the documents will be returned to the client upon his written request. 7.26 LIMENDO is entitled to process personal data entrusted to it within the scope of the purposes of the consulting assignment or to have such data processed by third parties. In accordance with the provisions of the Data Protection Act, LIMENDO guarantees the obligation to maintain data secrecy. 8.1 LIMENDO continuously advises clients on their projects. It cannot therefore be ruled out that LIMENDO will operate in the competitive environment of the client. 9.1 These provisions shall be without prejudice to any statutory rights to which any consumer may be entitled and which may not be modified or revoked by contract. 9.2 The services on the website www.limendo.com or menu.limendo.com and any other alias pages of Limendo are provided “as is” and LIMENDO makes no warranty or guarantee as to them. 9.4 Other conditions, warranties or other terms (including any implied terms relating to satisfactory quality, fitness for a particular purpose, or compliance with descriptions) do not apply to the Services or apply only to the extent expressly set out in the Terms. 9.5 LIMENDO does not provide any warranty for services, performances, deliveries of goods, creation of works on the part of the Client via the SAAS platforms, e.g. Limendo Menu. The warranty must be regulated separately between the client and third parties. 10.1 Nothing in these Terms shall exclude or limit any such liability of LIMENDO which cannot be lawfully excluded or limited under applicable law. 10.2 LIMENDO assumes no liability for services, performances, deliveries of goods, creation of works on the part of the Client. Liability shall be regulated separately between the client and third parties. any indirect or consequential damages you may suffer. This includes any loss of profits (whether direct or indirect), any loss of goodwill or business reputation and any loss of data suffered by you. 10.4 The limitations of LIMENDO’s liability to you as set out in Clause 9.3 above shall apply whether or not LIMENDO has been advised of or aware of the possibility of such losses occurring. 11.1 The Client agrees to grant to LIMENDO, a worldwide, non-exclusive and royalty-free license of its trademark (registered or unregistered trademark used by the Client), to provide the services of the LIMENDO Website and LIMENDO’s business and advice, including the marketing of the LIMENDO Services. The licenses granted for the use of the Client’s trademark are unlimited and irrevocable, but do not affect the Client’s other property rights. LIMENDO excludes any liability in connection with the use of the client’s trademark. In the event of justified premature termination of the contract by LIMENDO or in the event of unauthorised termination by the client, LIMENDO shall be entitled to the fee for its services up to this point in time on a pro rata basis. 13.1 All content on the Website, including but not limited to text, software, scripts, graphics, photographs, sounds, music and interactive elements on the Website, and in particular design, process and flow, customer experience, Limendo Menu functionalities (the “limendo.com Content”), is owned by or licensed to LIMENDO and is subject to copyrights, trademarks and other intellectual property rights of LIMENDO or its licensors. Any trademarks or service marks associated with the LIMENDO Content are the property of their respective owners. 13.2 For any other purpose whatsoever, LIMENDO Content may not be downloaded, copied, reproduced, distributed, transmitted, displayed, sold, licensed or otherwise exploited without the prior written consent of LIMENDO or LIMENDO’s licensors. LIMENDO reserves all rights not expressly granted in and to LIMENDO Content. 14.1 The Services may contain hyperlinks to other websites which do not belong to or are controlled by LIMENDO. LIMENDO has no control and assumes no liability for the content, privacy policies or activities of third party websites. 14.2 You acknowledge and agree that LIMENDO is not responsible for the availability of such external sites or resources and does not endorse or accept any advertising, products or other materials available on or through such sites. 14.3 You acknowledge and agree that LIMENDO shall not be responsible for any loss or damage that you may suffer as a result of the availability of such external websites or sources or as a result of your reliance on the completeness, accuracy or existence of any advertising, products or other materials available on or through such websites. 15.1 The Terms constitute the entire legal agreement between you and LIMENDO, govern your use of the Services and completely supersede any prior agreement between you and LIMENDO relating to the Services. 15.2 Notices regarding your contractual relationship with LIMENDO and your use of the Services, including notices of changes to these Terms, will be provided by LIMENDO to you by e-mail, ordinary mail or postings on LIMENDO’s website. 15.3 You agree that failure to exercise or enforce any rights or remedies available under the Terms (or to which LIMENDO is entitled under any applicable law) shall not constitute a formal waiver of LIMENDO’s rights and that such rights or remedies shall continue to be available to LIMENDO. 15.4 If any court of competent jurisdiction finds any provision of these Terms to be unenforceable, that provision shall be severed from these Terms without affecting the validity of the remaining provisions. In this case, the remaining provisions of the provisions shall remain effective and applicable. 15.5 You acknowledge and agree that any member of the group of companies to which LIMENDO belongs is a third party beneficiary of the Terms and that such other companies have the right to rely on and directly enforce any provision of these Terms which confers an advantage (or right) on you. Apart from that, no other person or undertaking shall be a third party beneficiary of the provisions. 15.6 In the event of disputes, both parties shall endeavour to settle such in direct negotiations. 15.7 The Terms and your relationship with LIMENDO under the Terms shall be governed by and construed in accordance with Italian law. You and LIMENDO agree that the courts of Bolzano, 39100, Italy shall have exclusive jurisdiction to settle any and all legal disputes arising out of or in connection with these provisions. Notwithstanding the foregoing, you agree that LIMENDO may seek injunctive relief (or similar remedies) in any jurisdiction. 15.8 The Order, its performance and any claims arising therefrom shall be governed solely by the laws of the country in which LIMENDO has its registered office, excluding the conflict of laws rules. 15.9 The place of performance shall be the business location of LIMENDO. In accordance with articles 1341 and 1342 of the Civil Code, the user of the LIMENDO website and services explicitly acknowledges the following provisions: 2 (Acceptance of the provisions), 5 (General principles of cooperation), in particular paragraphs 5.1, 5.2, 5.3, 5, 4, 6 (Limendo Menu as Software-as-a-Service), in particular paragraphs 6, 1, 6, 2, 6, 3, 6, 4, 6, 5, 6, 6, 7, 6, 8, 6, 9, 6, 10, 6, 11, 6, 12 and 6, 13, paragraphs 7, 17 to 7, 22 (Risk and Liability), 8 (conflict of interest), 9 (exclusion of warranty), 10 (limitation of liability), 11 (references) and 15 (general provisions, applicable law, place of performance and place of jurisdiction).